One afternoon many years ago I observed a robin in the garden behaving strangely, having what seemed to be seizures. Since he seemed so close to his last moment, I thought he would be better off in his own element than my taking him in. I looked on from a window to make sure that he would stay safe from predators. As I stood watching, a small flock of sparrows flew into the garden and formed a ring around the robin. A few other bird species joined the circle. The birds pecked at the ground and flitted about, tweeting. 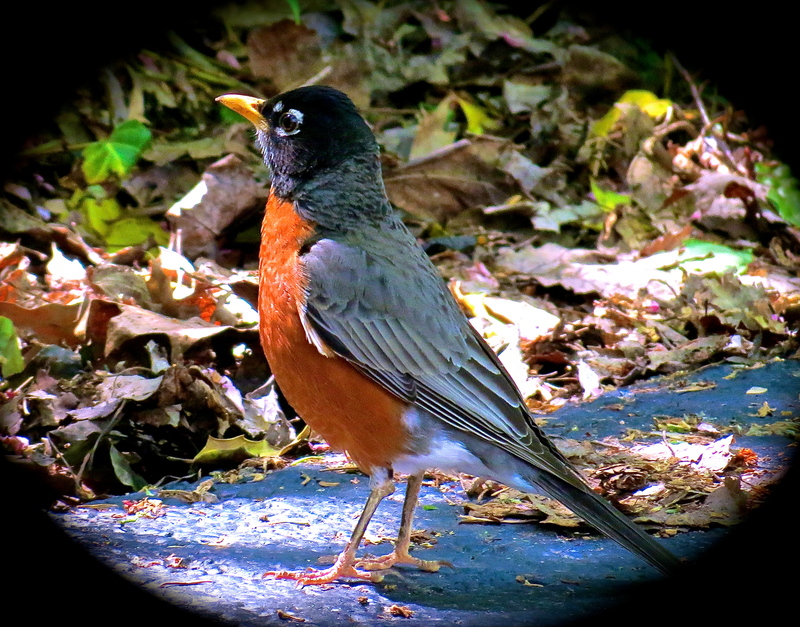 When the robin finally laid still, the birds of the circle flew away. My sense of this phenomenon was that I was sure I had witnessed s a vigil of some kind. Yet, because I tend to think scientifically, I questioned whether this occurrence was either coincidence or was I anthropomorphizing. In September 2012, an article in BBC Nature that reported that scientists had observed that birds hold “funerals.” If the western scrub jay encounters a dead bird, the jay will call out to the other birds. The jays will fly down and gather around the departed one. Another scientist noted that magpies placed pieces of grass by one of their fallen comrades. Now, I could rule out that my observation years ago was not a coincidental occurrence, but was it a vigil? It seems that some have concluded, as published the findings in the journal Animal Behaviour, that “all organisms must contend with the risk of injury or death; many animals reduce this danger by assessing environmental cues to avoid areas of elevated risk.” If a bird was sick or subject to predation, why would other birds fly down to one that is dying? This made me wonder whether we can we in any way attribute this particular “funeral” behavior to any evaluation? The sparrows’ vigil still holds an element of mystery. Maybe we have to admit we just don’t understand, and that recognition leaves space for openness and discovery. What an amazing scene to have witnessed. Whatever it’s significance or lack thereof, I think it would still leave me with a sense of awe. Yes, absolutely. Long ago I did some bird rescues, and I was amazed at how the birds positively responded to that interaction and their intelligence. Because of that past experience, the “vigil” aspect seemed like that was the reality of what had occurred. Thanks for your comment and visiting the blog. My father grew up in Valley Forge. He captured, raised and rehabilitated a lot of birds. Falcons, crows, etc. I was always amazed by his stories of how smart crows were…. Once I took in a fledgling grackle, who didn’t want to leave. For about a week, he kept returning to our roof top. Love stories of smart birds! Kae, it’s comforting to see your heart’s reason prevail over science. I know, with all my heart animals grieve the loss of a comrade and loved one. It’s a pity though that with all the good science has given us, it lags so far behind our heart’s knowing.